Hi friends and family and followers! You all know my heart... ...the more I think about the food that we eat, the more it fuels my passion to want to serve anyone and everyone who wants to work towards feeling the healthiest and happiest they can! You all know I am#FedUp and have a passion to #EndTheTrend of#obesity. I learned the hard way there are foods that just pull away from my body and mind feeling good--or even RIGHT, and the sad truth is, they can end your life. No more! It's time for a change....a complete paradigm shift in the way that we eat and think about the food that we consume. By way of the Ultimate Reset! A 21 day detox that focuses on WHAT we eat to nourish and fuel our bodies with daily. Over the course of three weeks it progressively gets more strict and eliminates those foods that build up toxins in our body. It includes supplements to revitalize our system and a full cooking guide. No starvation or liquid only!! I SAID NO STARVATION!!!! Yep, you eat your way through this. Honestly, you already know in YOUR heart if you need a change or not. It's evident in the way your body feels. You have seen my journey and know how far I fell off the healthy way of living. Since I have changed my life and way of thinking and really focus on getting HEALTHY and resetting my ENTIRE body. I have NEVER felt better! Here is the clincher... NO EXERCISE! For some this is good, for others this is bad. It is hard for me to give up exercise, but it is the perfect way to ease into a healthy life if you are someone who has been dormant for a while. I can promise this will crush your sugar and dairy addictions, and you WILL lose weight! Not to mention it has helped people get off their anti-depressants, finally curing insomnia, fibromyalgia, IBS, lethargy AND cutting insulin intake by half*!!! Does this sound like you? Join small our group of committed people (ready to feel amazing like you) and kick off Spring with a clean slate and a FRESH START. Comment below with a 'TELL ME MORE' or just private message me (momwhatsfordinner@yahoo.com) and I will connect you with the info you need to gain an invaluable education on how to FUEL your body for LIFE. -> An abrupt cleanse that's hard on the body. 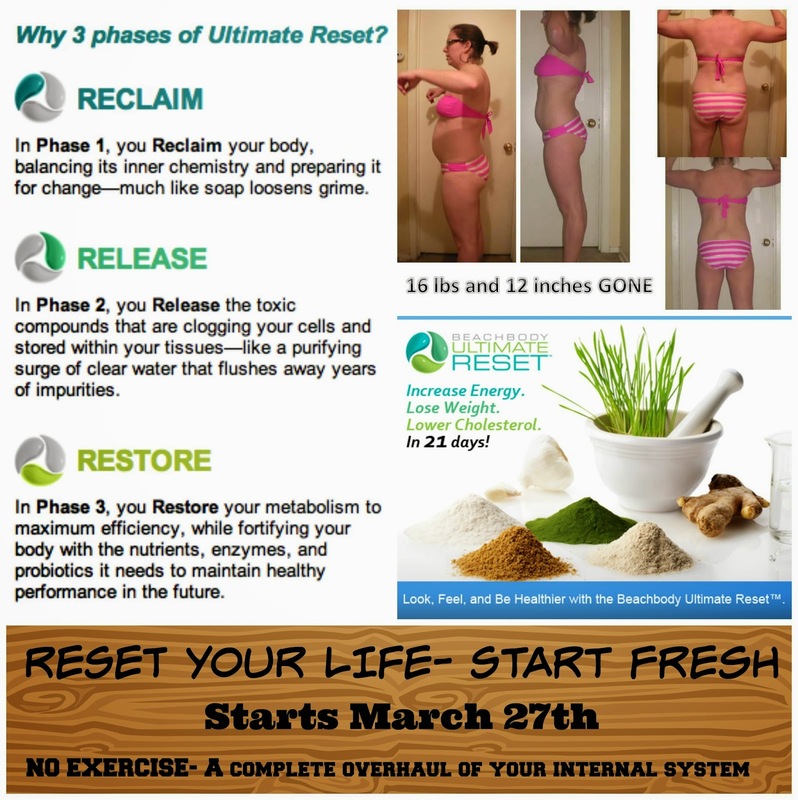 -> A laxative-based, colon-focused cleanse, which fails to truly detoxify the whole body. *While following the meal plan provided BUT modifying for appropriate amounts of proteins and other nutrients! Contact me today so we can get your kits to you in time!! !